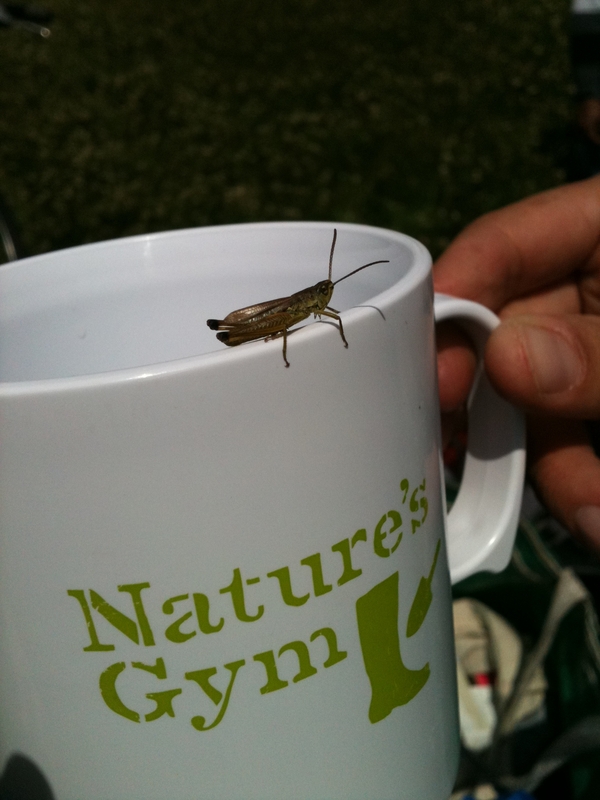 While working at Hilly Fields pulling creeping thistle last week the Nature’s Gym volunteers came across a number of bugs, including a meadow brown and cabbage white and numerous grasshoppers and crickets. At the midday tea break one got a little closer to the tea than most. It seemed as though it was a tea drinker, but we had sadly run out of ginger biscuits to go with it!